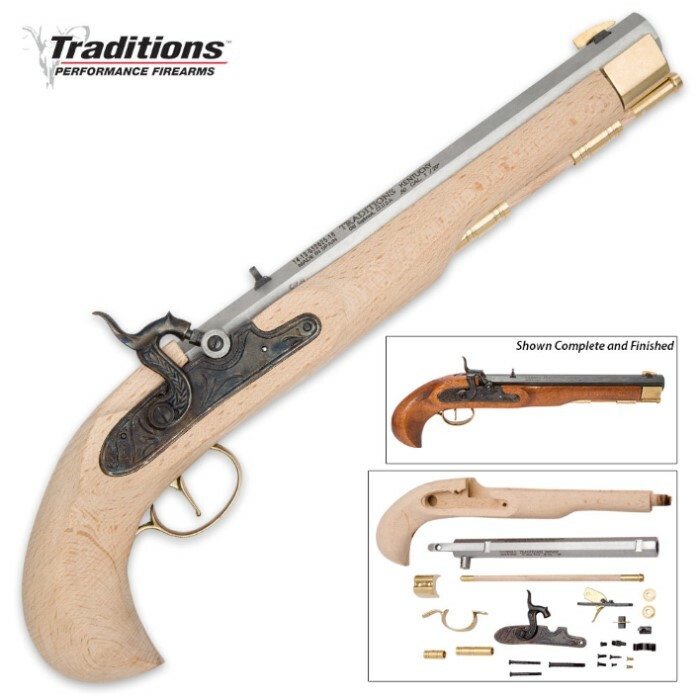 Traditions Kentucky Pistol Kit - Build It Yourself | BUDK.com - Knives & Swords At The Lowest Prices! 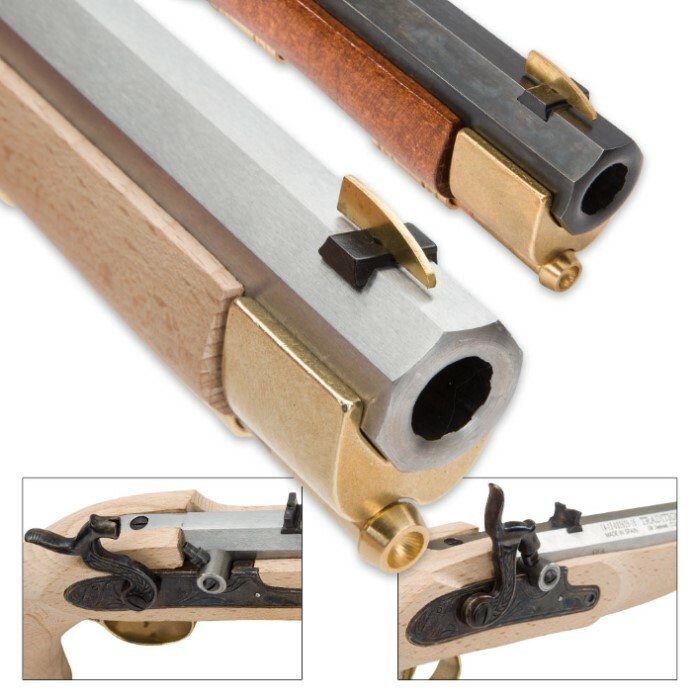 One of the best ways possible to get a real hands-on muzzle-loading experience is to build it yourself! 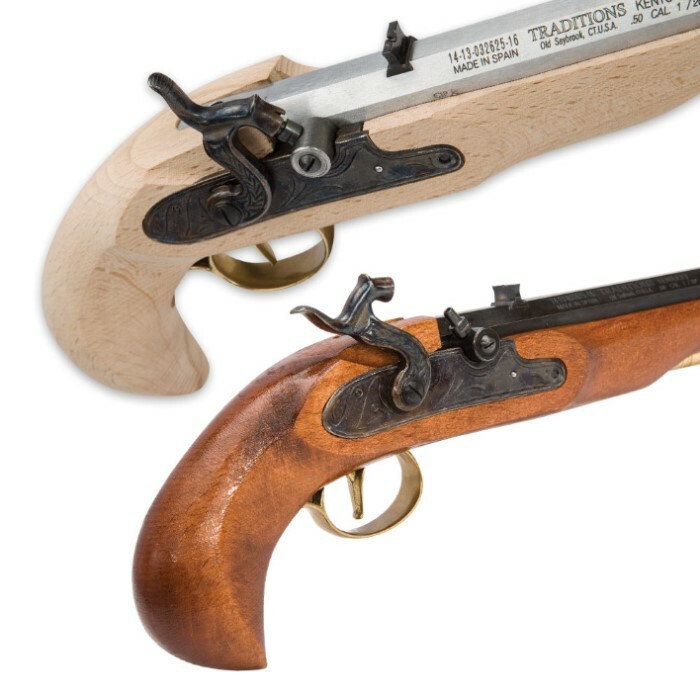 Traditions offers this Kentucky muzzle-loader pistol kit that is pre-assembled at the factory to ensure proper fit and ease of assembly. The kit is the perfect project for families to build together because easy-to-read instructions guide you through the building process to a finished product. There is no greater feeling of accomplishment than knowing you built the pistol that you enjoy shooting so much!